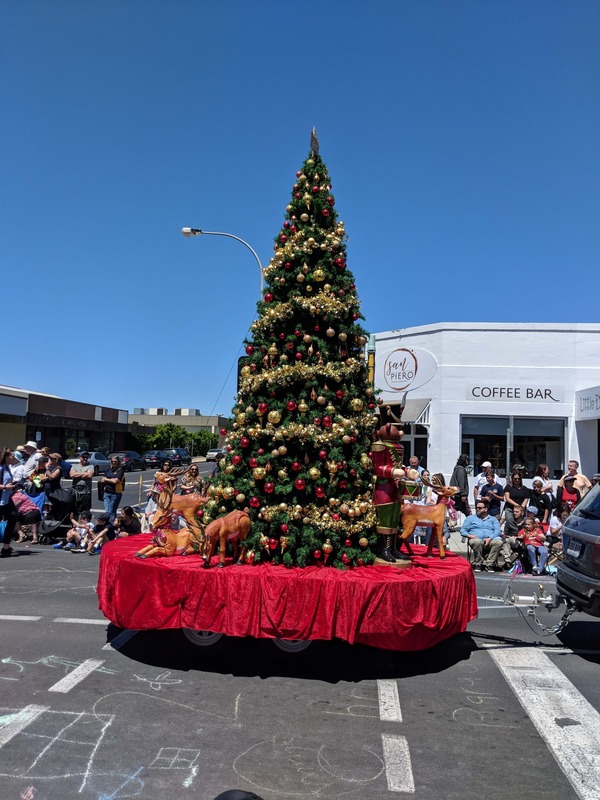 More than 16,000 people lined Commercial Street on Saturday 17 November 2018 for the NF McDonnell and Sons Mount Gambier Christmas Parade. “Everyone put in such a fantastic effort and it was a very hard choice for the judges to come up with winners for each category,” City of Mount Gambier Events Team Leader Denise Richardson said. Recycled Runway’s ‘Wear It, Don’t Waste It’ was named the most outstanding entry. The entry showcases the work of participants who create a new outfit from a pre-selected bag of op-shop clothes which are then modelled on a runway. The initiative is a fundraiser for ac.care and the ‘Uplift Project’ which donates used bras to third world countries. Lots of people have reported back to me that it was the best ever Christmas Parade they have seen. - City of Mount Gambier Events Team Leader Denise Richardson. “Don’t forget that you can watch the parade back online at www.brassbanned.com."